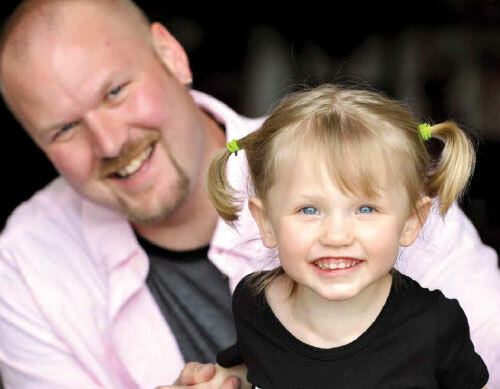 The Colorado Promoting Responsible Fatherhood Initiative was a five-year federally funded campaign launched by the Colorado Department of Human Services. 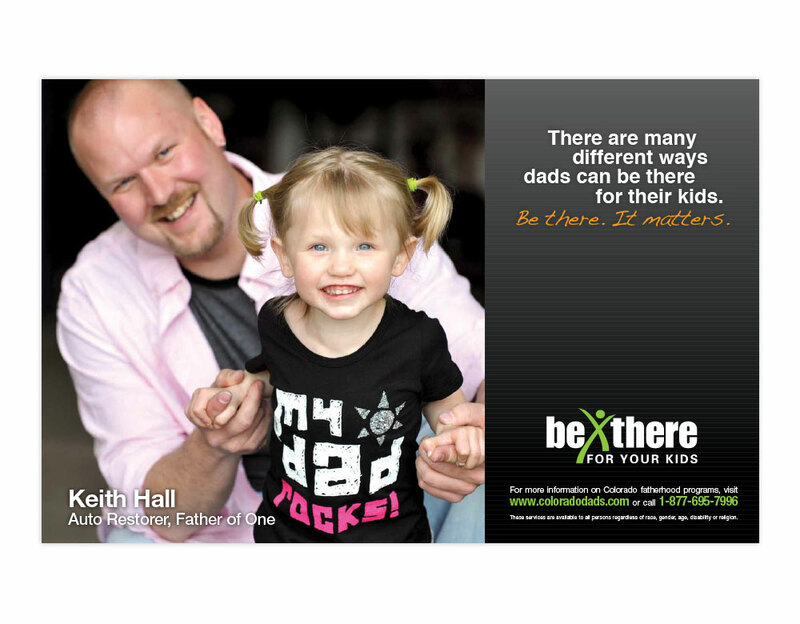 The Be There for Your Kids public awareness campaign was designed to increase enrollment of at-risk fathers in local fatherhood programs and improve paternal engagement across the state. TBG concepted and executed the integrated Be There for Your Kids public awareness campaign for more than four years. The campaign included focus groups and annual messaging surveys, statewide English and Spanish advertising, substantial community outreach and partner organization engagement, an English and Spanish website, two web portals for CDHS staff, media relations, event management and targeted marketing collateral. TBG leveraged more than 17,400 value-added radio and television spots for the campaign for an additional $800,000 worth of advertising. 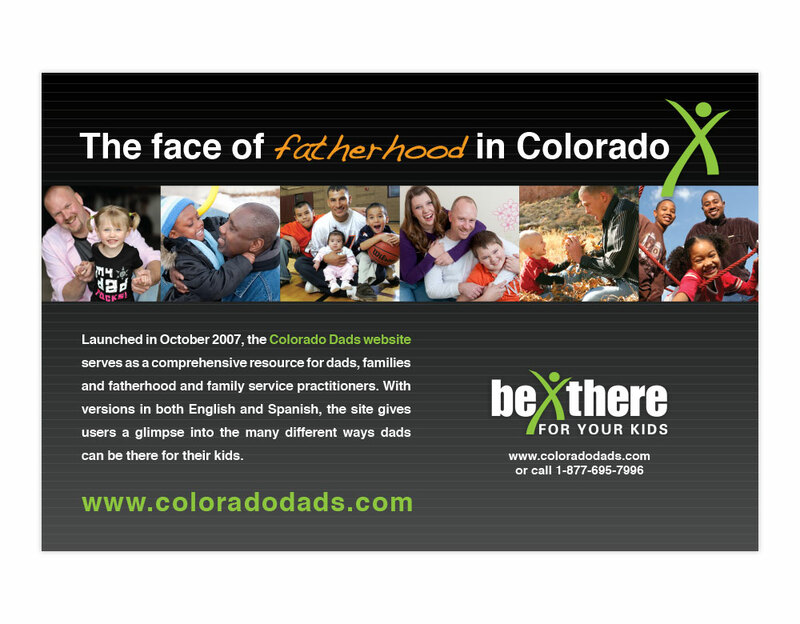 The Colorado Dads website – www.coloradodads.com – received more than 5 million hits, 1.8 million page views and 500,000 unique visitors during the campaign. Media relations efforts reached more than 35 million people, including a front page Denver Post story on the Initiative’s success. In total, more than 5,000 fathers enrolled in fatherhood programs during the Initiative’s five-year period. 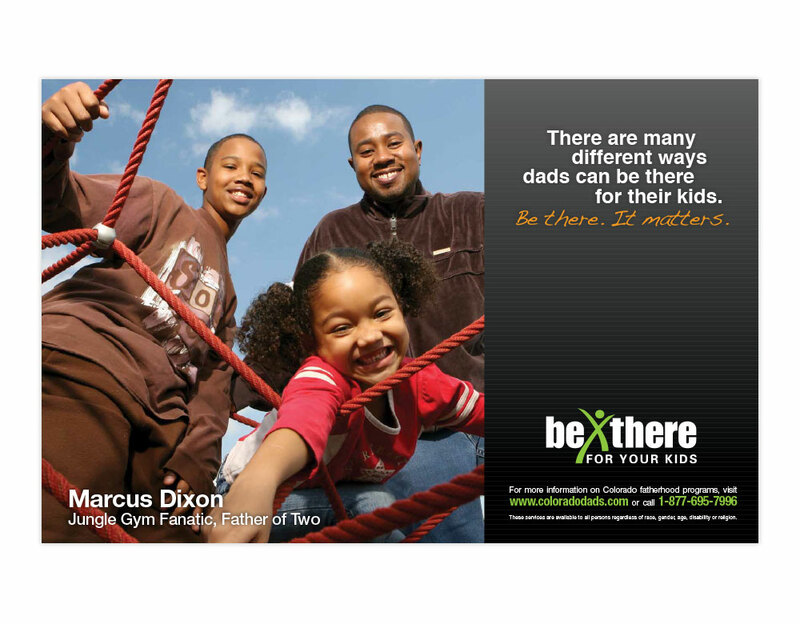 The U.S. Administration for Children and Families, National Responsible Fatherhood Clearinghouse and the National Center for Fathering also recognized the Be There for Your Kids campaign’s innovative outreach to at-risk fathers and families.